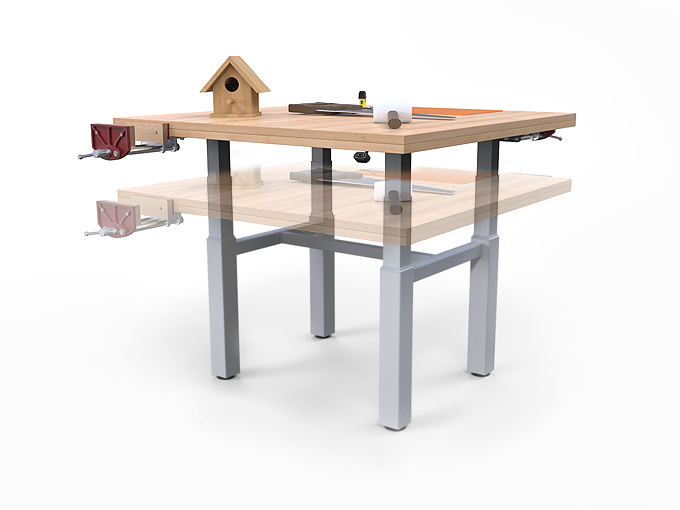 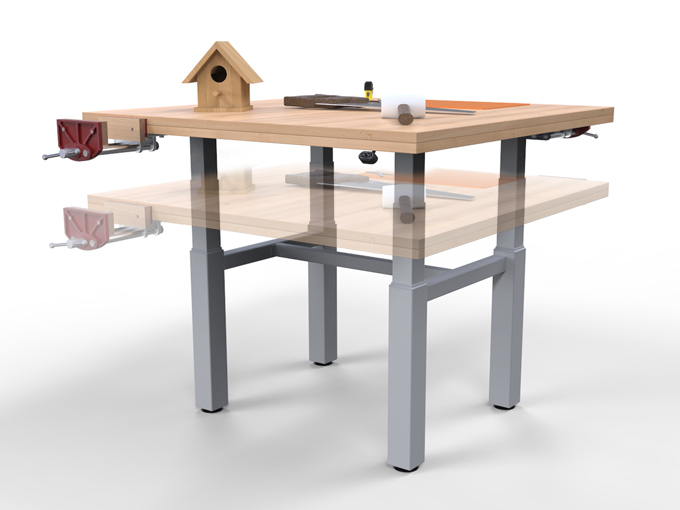 Heavy duty and height adjustable workbench designed to withstand the inevitable bashing it will receive from woodwork, metal work and design technology classes. 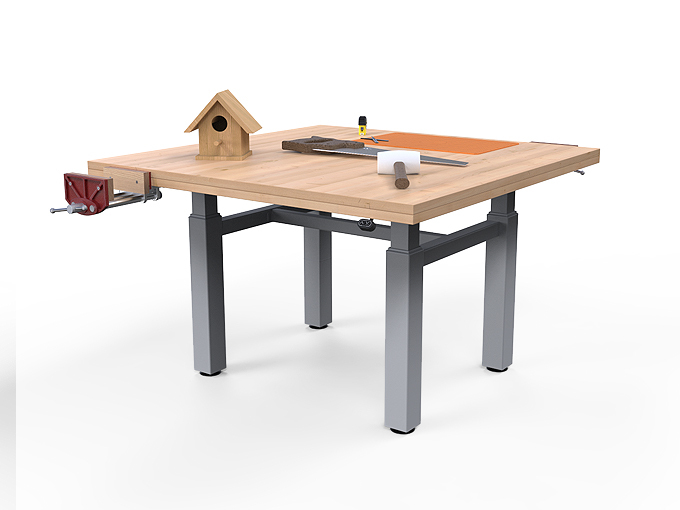 Adjust to a convenient working height at the touch of a button. 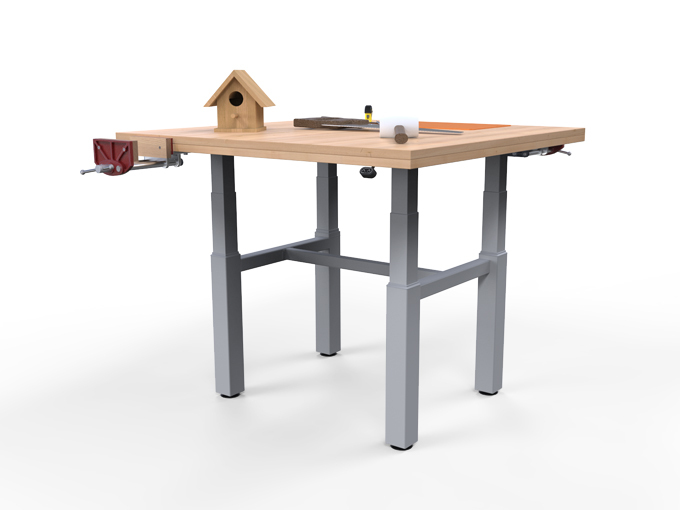 Lockable storage or vice storage options available.